Unmanned aerial vehicles, commonly known as drones, operate without a human pilot aboard. Rather, they fly either autonomously, using onboard computers, or by a ground-based controller, via a system of communications between the two. Drone technology, and their use is rapidly increasing: unmanned vehicles are in use across a range of sectors, including defence, journalism and film photography, express shipping and delivery, thermal sensor drones for search and rescue operations, law enforcement and border control surveillance and weather forecasting. In agriculture and food production drones are becoming important tools for farmers, land managers and scientists to review and monitor the status of their crops and animals. 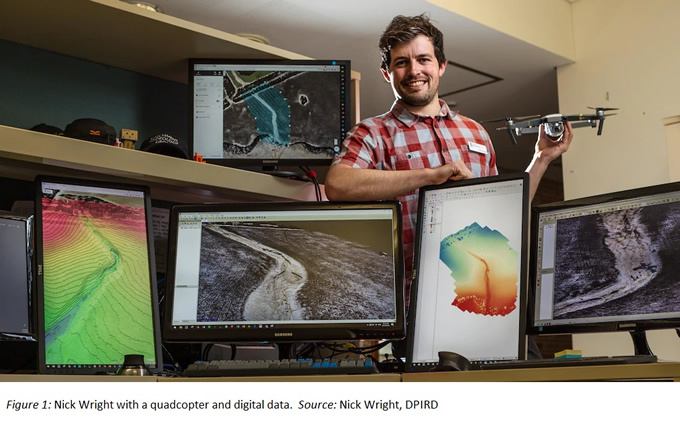 The Western Australian Department of Primary Industries and Regional Development (DPIRD) is using drones across a range of applications to enhance its effectiveness in helping to manage land use. FDI has taken the opportunity to interview Nick Wright, a DPIRD Research Officer, to discuss the use of drone technology in Australian agriculture.